Amy Poehler鈥檚 Parks & Rec character, Leslie Knope, is the world鈥檚 best friend, so it almost makes sense that Poehler鈥檚 directorial debut would be about friendship. Of course, it鈥檚 also about a girl鈥檚 trip, lots of wine, and a few good food scenes. Okay, that鈥檚 at least judging from the trailer, which came out yesterday to tease us. 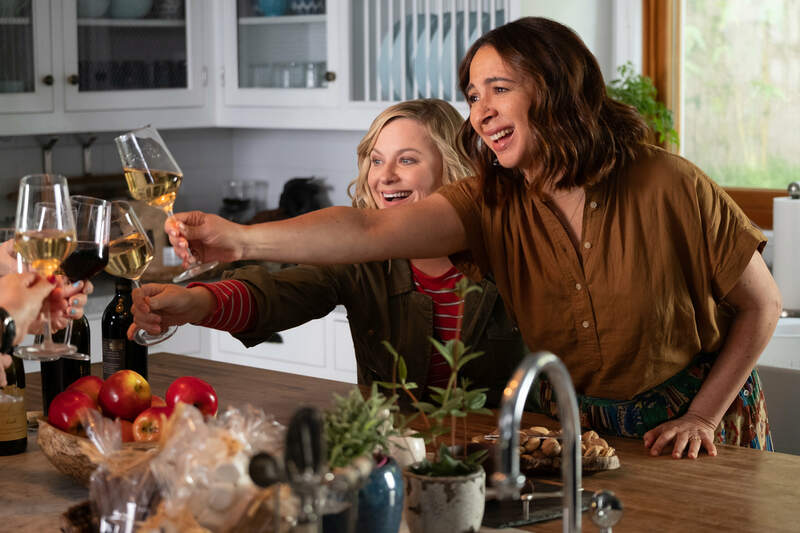 The movie, Wine Country, comes out on Netflix on May 10 (and in some theaters on May 8), and the cast reads like a dream team of the Parks & Rec/Good Place universe and an SNL reunion: Amy鈥檚 directing her famous friends Tina Fey, Ana Gasteyer, Maya Rudolph, Paula Pell, and Rachel Dratch. They鈥檙e joined by Jason Schwartzman 鈥� playing a chef 鈥� and Cherry Jones. The movie is about a trip Amy plans for Rachel鈥檚 character鈥檚 50th birthday in (natch) wine country. The trailer doesn鈥檛 really give away much else on the plot front, other than highlighting the comedic genius of the cast, but it does give us some hints at the kind of culinary comedy we can expect. When the women are at a fancy restaurant, a tray of long metal spikes with a fleck of food get set down. 鈥淟avender popping corn,鈥� says the server. 鈥淭hat鈥檚鈥� not enough,鈥� says Emily Spivey, shaking her head as she voices what so many of us have thought at a place like that. Eater called the movie 鈥渁 cross between Sideways and Bridesmaids,鈥� and that seems about right, though the comedy definitely leans toward the latter (helped by the crossover casting of Maya Rudolph), while Food & Wine threw in The Hangover. But it turns out, the movie is at least partially based on Poehler鈥檚 own trips up to Napa with her SNL pals. So while I鈥檓 all excited about the movie 鈥� which looks hilarious 鈥� I鈥檓 also trying to figure out how to snag an invite on one of those trips.